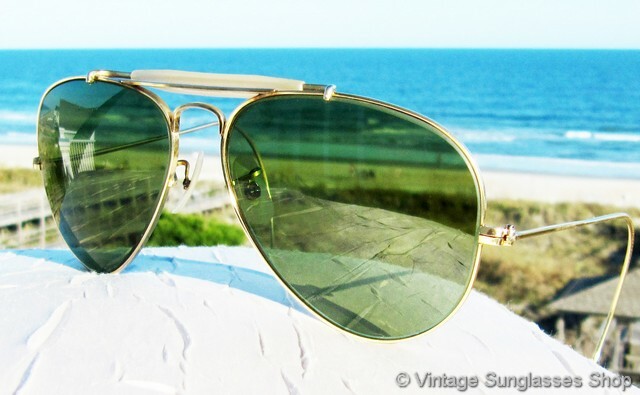 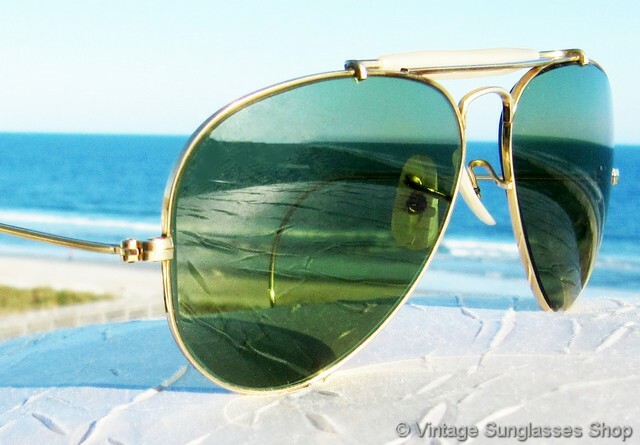 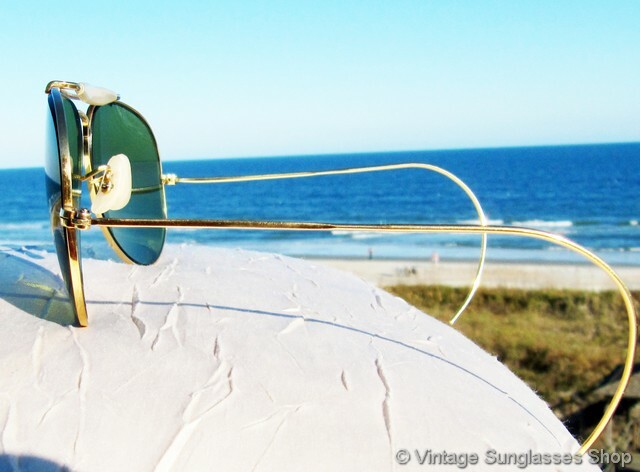 These classic Ray-Ban aviator sunglasses are one of our most requested styles, with cable wire ear outdoorsman ear stems, "General" bar above the double aviator nose bridge, and early 58mm Bausch & Lomb G-15 lenses that pre-date the use of etching and the Ray-Ban logo in script c 1960s - early 1970s. 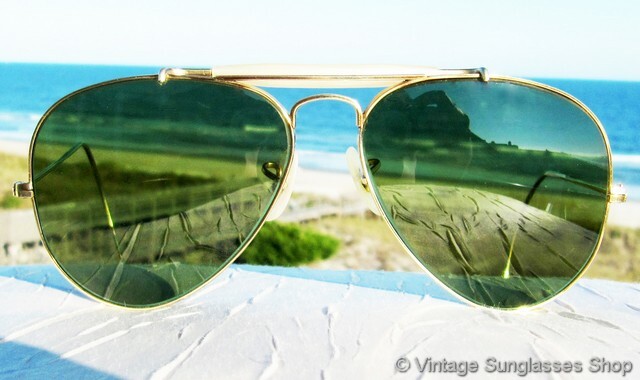 This particular style of 58mm aviator - The General - has been the choice of pilots the world over for over 60 years, and these were early B&L production c 1960s - 1970s. 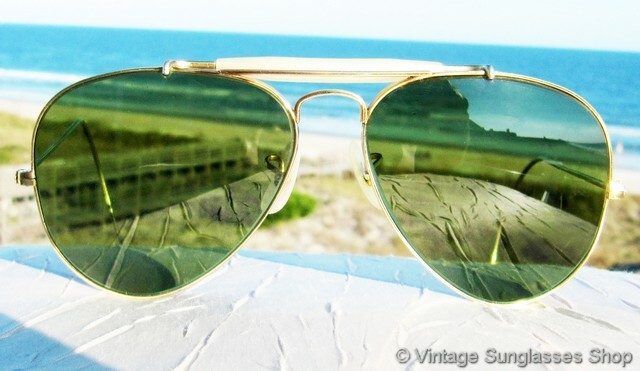 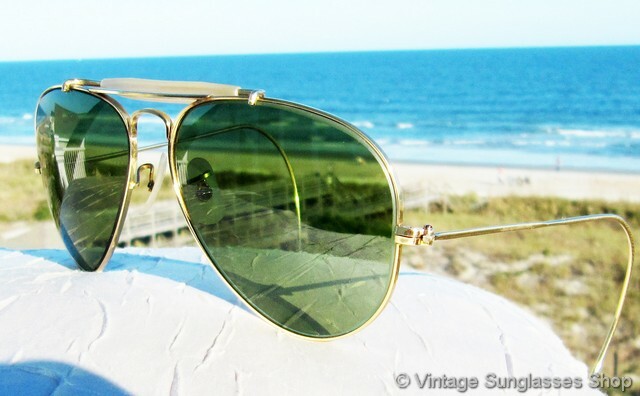 The gold plated Arista frame ensures that these vintage B&L Ray-Ban aviator sunglasses will still be in good condition after another 50 years, and you can't beat the original B&L optical lens technology for glare reduction and UV ray protection from the sunlight. 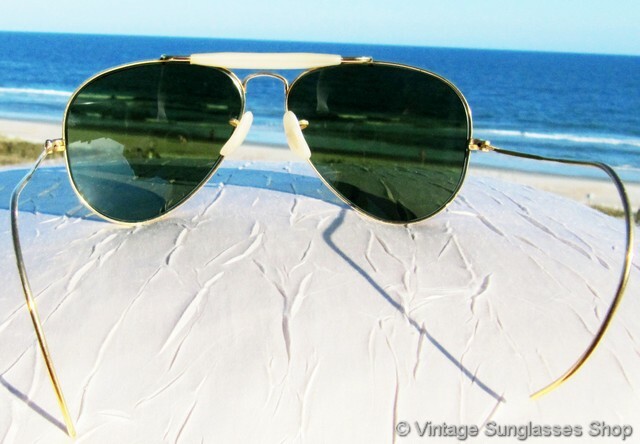 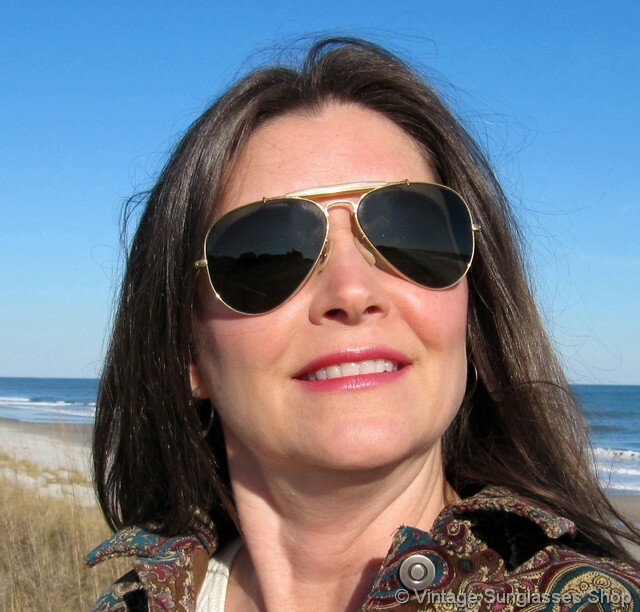 The cable wire ear stems are flexible and adjustable for a comfortable yet secure fit, and as you'll see from the photos these vintage aviators are not only high performance but they also look great at the same time. 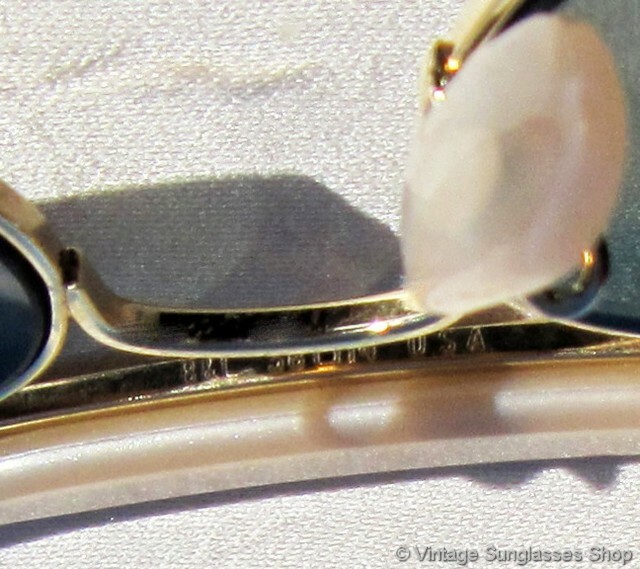 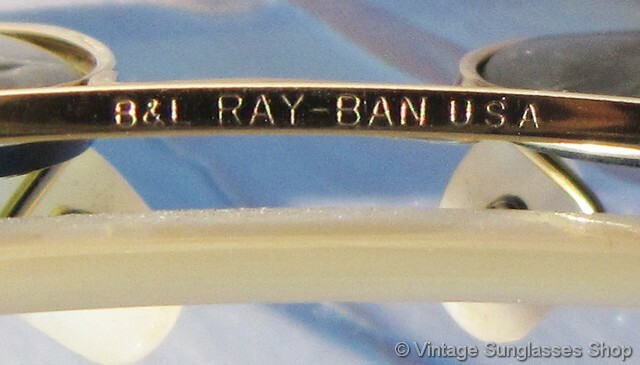 The top bar of the nose bridge is marked B&L Ray-Ban USA while underneath the frame is marked B&L 58  14 USA, all impressed in the gold plating. 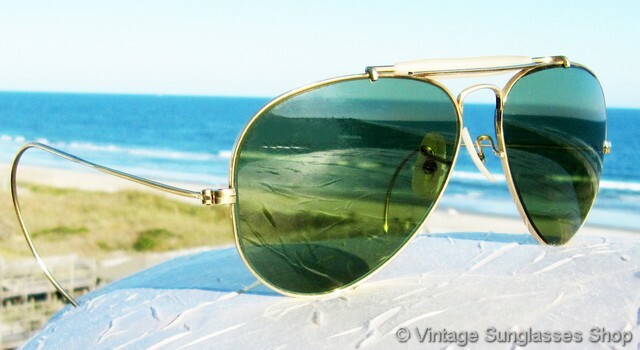 The unisex B&L Ray-Ban 58mm shooter frame measures approximately 5.25" temple to temple, and the Bausch & Lomb 58mm aviator lenses measure approximately 2.25" x 2.0" at the widest points.